As a wedding photographer in Lucerne I was allowed to accompany Grace & Raphael. 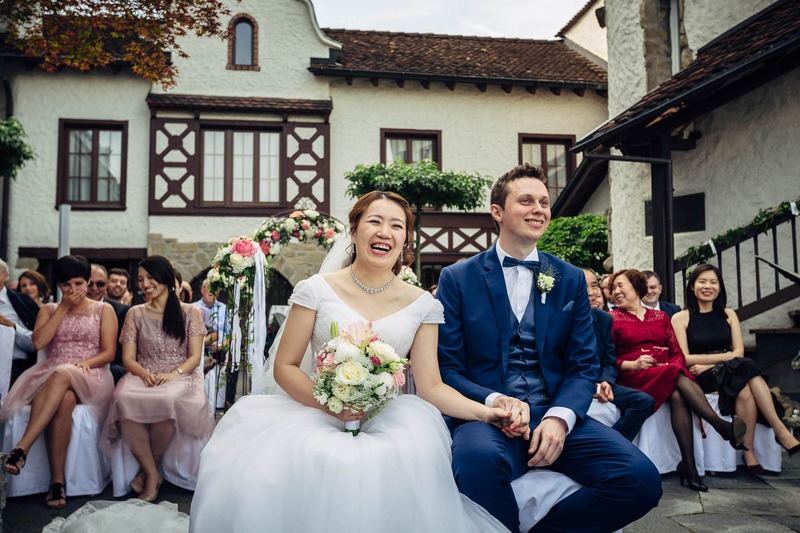 The bridal couple got married in Chateau Gütsch, it was an international wedding. For the bridal couple photos we chose a beautiful spot at the lake. When the weather is nice, the promenade is heavily frequented, if you know where, then less. The leader of the ceremony, Gerard, held a touching ceremony, singing and playing the saxophone during the aperitif. In the evening he changed behind the turntables and heated up as a DJ. There was dancing until late into the night.